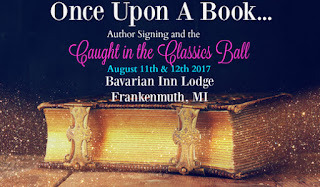 I Smell Sheep's very own Bianca Greenwood attended Once Upon a Book, Happily Ever After Ball & Author Signing in Frankenmuth, MI August 12-13, 2016 put together by author Stacey Rourke. She shares her experience! 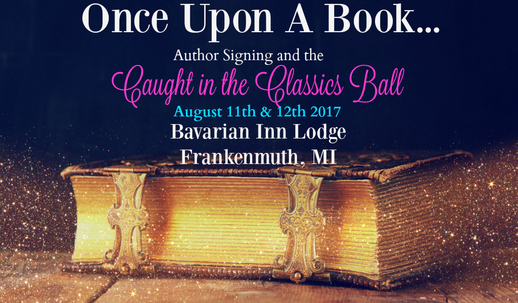 This past weekend marked the first ever Once Upon a Book event. 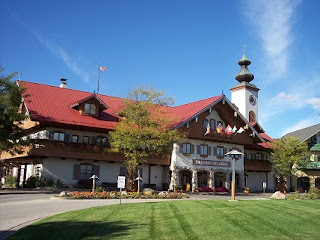 Held at picturesque Frankenmuth’s Bavarian Inn, the story-book themed event was a way for readers, authors, and publishers to connect over their mutual love of fiction. hand-decorated mirror reminiscent of that belonging to Snow White’s evil queen. Much fun and frivolity ensued. The night life in Frankenmuth seems to wind down early, however, that didn’t stop my group from making the sojourn over the river via covered bridge following the festivities. The covered bridge was all too appropriate given the storybook theme of the event. Added to that was the coincidental fact that I was reading event organizer Stacey Rourke’s, Crane (read Bianca's review of Crane), a re-imagining of The Legend of Sleepy Hollow wherein a covered bridge features prominently. But I digress. Saturday morning came quickly. VIP access to the author signing commenced at 9 AM. Dozens of authors were in place to distribute materials, meet their fans, and make new connections. I was able to meet some I Smell Sheep familiars such as Bridget Blackwood, as well as meet some new and upcoming talents in the world of speculative fiction. A wide array of genres was represented at the event, however, paranormal romance, fantasy, and science fiction were dominant. Angela Gibbons, again. She bought about 6 books and is a super reader averaging about 200 books a year! Below is my swag haul. I even won a hand written page by author Amy Richie. Overall, the event was well-organized. Stacy Rourke and her organizational team did a great job planning an fun-filled event. Attendees were well informed in the time leading up to the event, and judging by the light, fun atmosphere a pleasant time was had by all. OUAB was a family-friendly affair with activities organized for children during the ball and the signing, which wrapped up at 3 PM. Hope to catch up with you guys again soon!!! SO happy to have met Angela! I hope you enjoy your copy of The Regent's Gamble and can't wait to cross paths with you again at the next big signing. Visiting with you was definitely one of the high points of my adventure to Michigan. You made my night (and have some serious selfie power).